Item # 308862 Stash Points: 8,499 (?) This is the number of points you get in The Zumiez Stash for purchasing this item. Stash points are redeemable for exclusive rewards only available to Zumiez Stash members. To redeem your points check out the rewards catalog on thestash.zumiez.com. 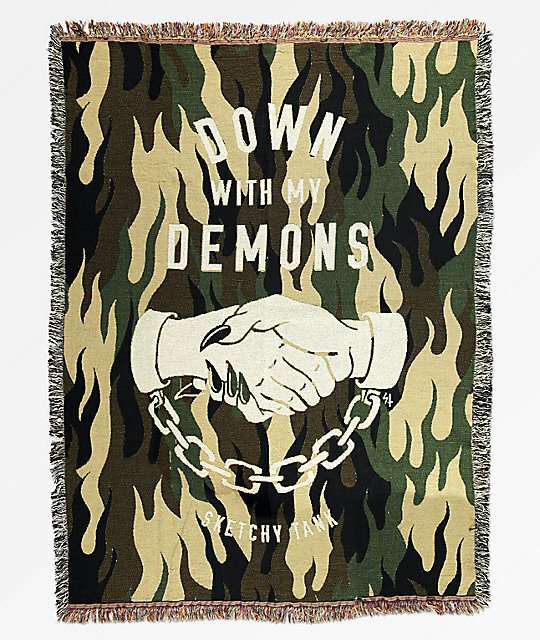 Tie your room together with the Demons Blanket from Lurking Class By Sketchy Tank. This woven piece can be used as a blanket or tapestry for added flair to any space. With a large woven jacquard knit graphic that reads "Down with my demons" along with an image of a two hands shaking beneath. Demons Blanket from Lurking Class By Sketchy Tank. Green, black, white & brown woven design. Woven "Down with my demons" graphic with image of two hands shaking. 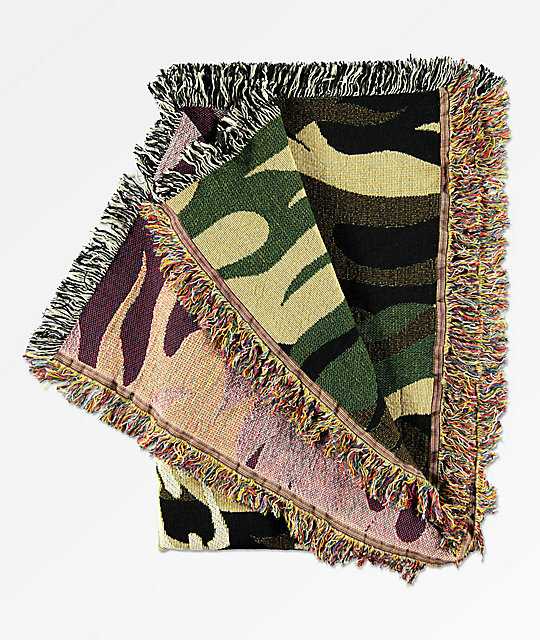 Use as a blanket, or tapestry. 50" x 68" &vert; 127cm x 172cm.